Jerry has a quiet disposition, but his life speaks loudly of his ambition. Every day after school, Jerry takes the public bus from his magnet school outside the city to get downtown to Kids On Point. 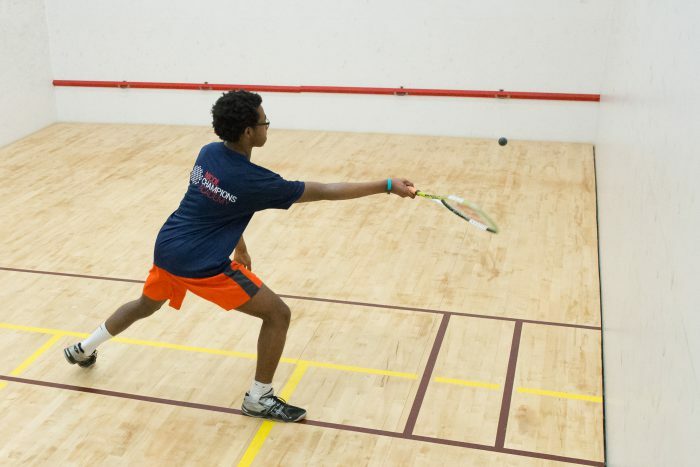 Even though he goes to the most academically rigorous high school in the entire state, he rarely skips out on a single squash practice. He’ll show up to KOP every afternoon, play some squash, and then get to work on his homework or college applications. And he never complains. Jerry is very college-focused, and he’s willing to put in the work now if it means getting into college later. At 14 years old, Jerry chose to transfer schools in order to take more challenging coursework that would better prepare him for college. He applied to the top high school in the district, but didn’t get in. So he applied again. Finally, as a sophomore, Jerry was able to leave his neighborhood school and enroll in the prestigious magnet high school. Although he’s glad he made the decision to transfer, he said it was a tough transition. “[My new school] had higher standards and I had to make new friends. And I had to find a place to study on weekends…because the coursework was hard”. Now, Jerry is on-track to be college-ready and is looking forward to applying to Clemson, which is his dream school. Jerry will be part of the first group of scholars to graduate from Kids On Point in the spring. When asked who inspired him to achieve his goals, he is quick to name his mom, his favorite math teacher, and Kids On Point. “Kids On Point has helped me with homework, but also with my SATs and college–organizing college visits and helping me know when I should study for standardized tests”. Jerry also named Todd and Emily Abedon–a KOP founder/board member and his wife–as people who have helped him get where he is today. Todd and Emily have known Jerry since he joined the program at 10 years old and have supported him through every step of his journey toward his high school graduation this May. 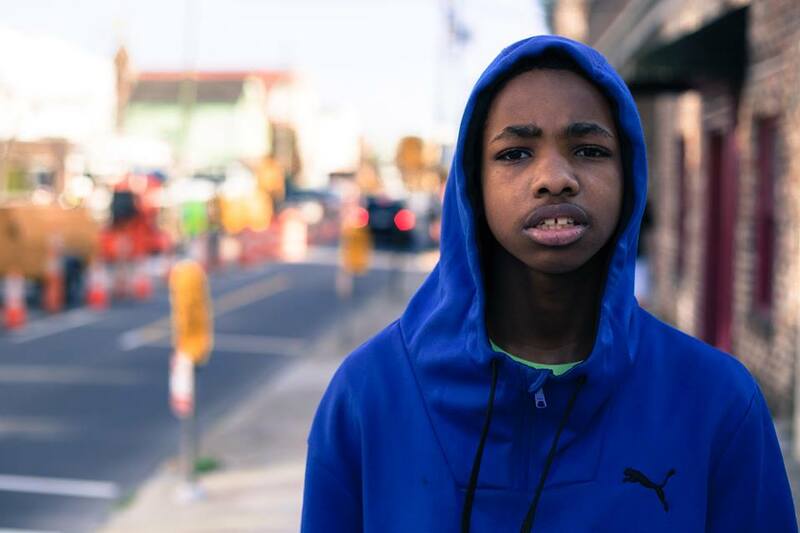 Jerry’s story exhibits the determination that many scholars at Kids On Point have. Despite obstacles, they dream big and are successful in many of their endeavors. Kids On Point works to connect our scholars with the resources that they need to succeed–whatever those resources may be. If you haven’t already, will you join us in supporting scholars like Jerry? Supporting Kids On Point today changes the world tomorrow. The Contribute page on our website can give you more information on the many ways to be involved. Stay tuned as Jerry’s story continues to unfold–we look forward to sharing with the Kids On Point family what all of our first graduates will be doing next year!